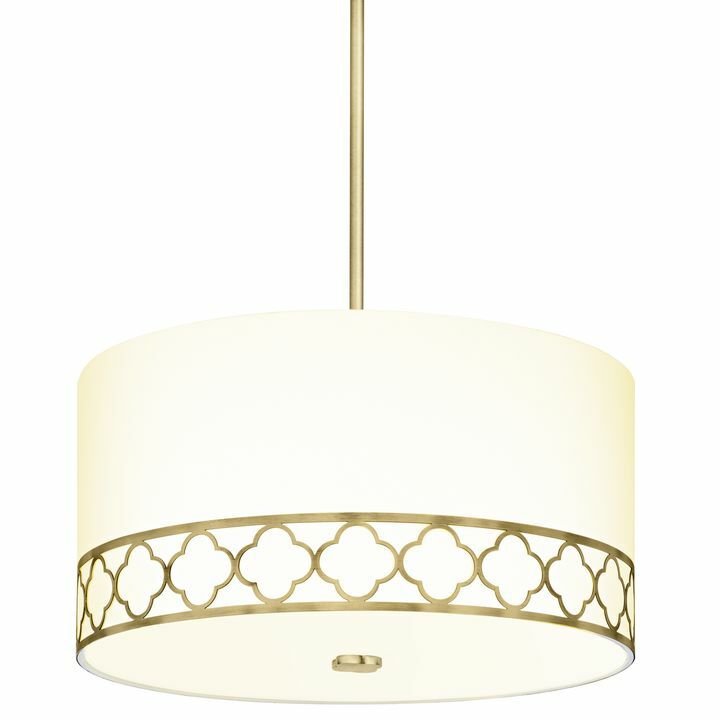 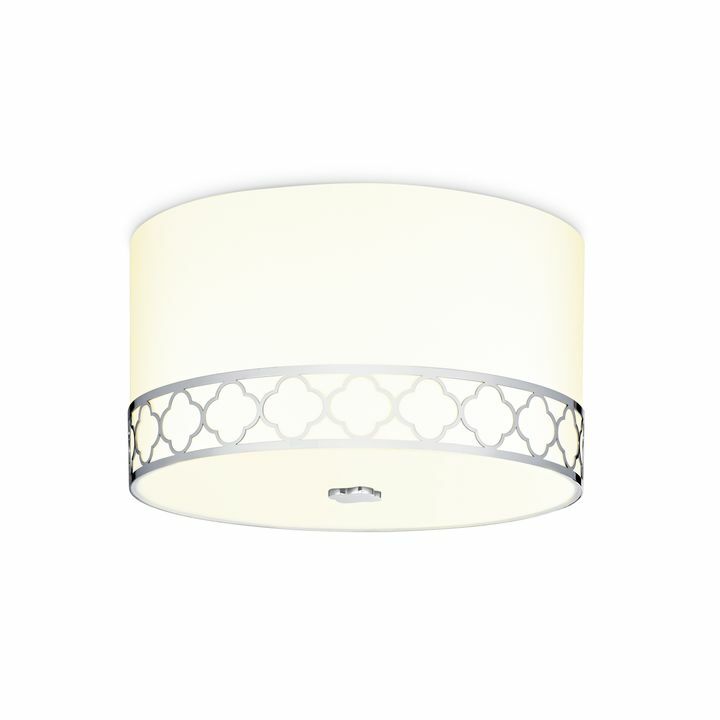 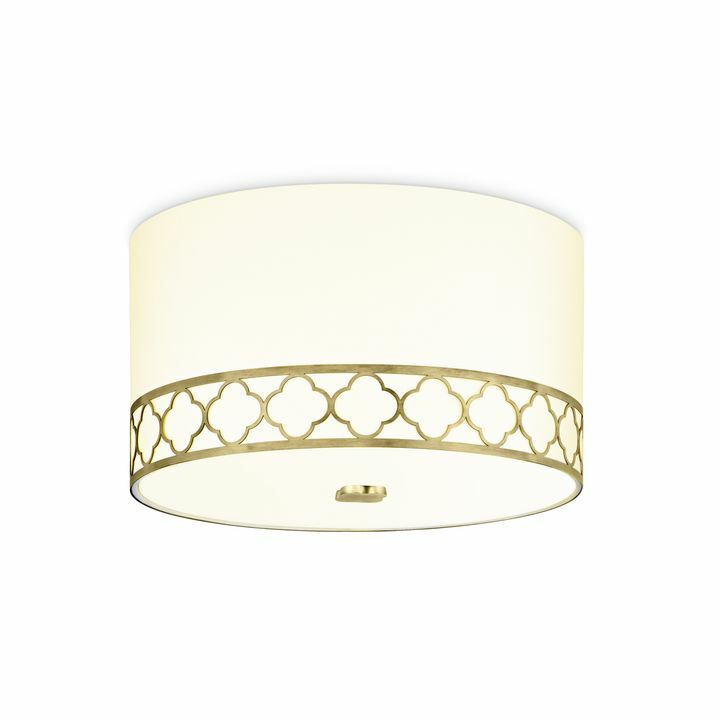 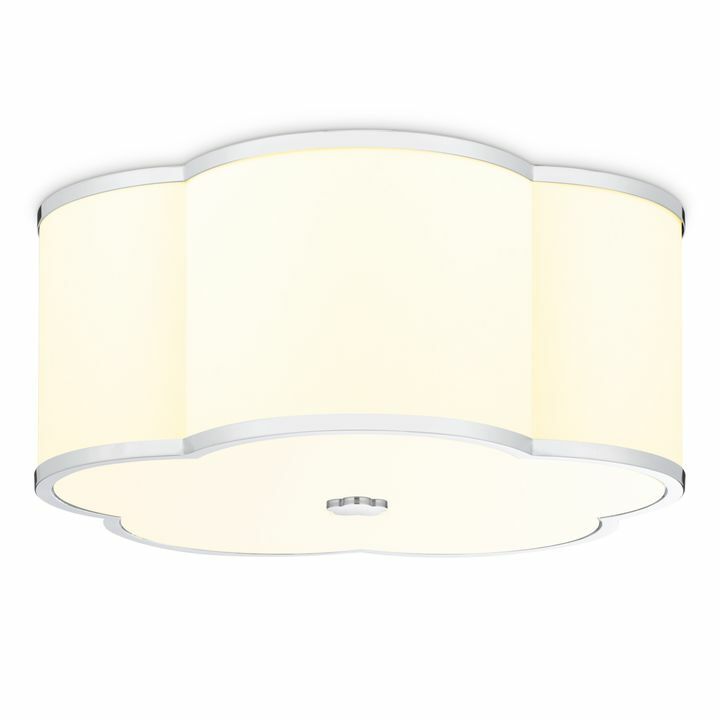 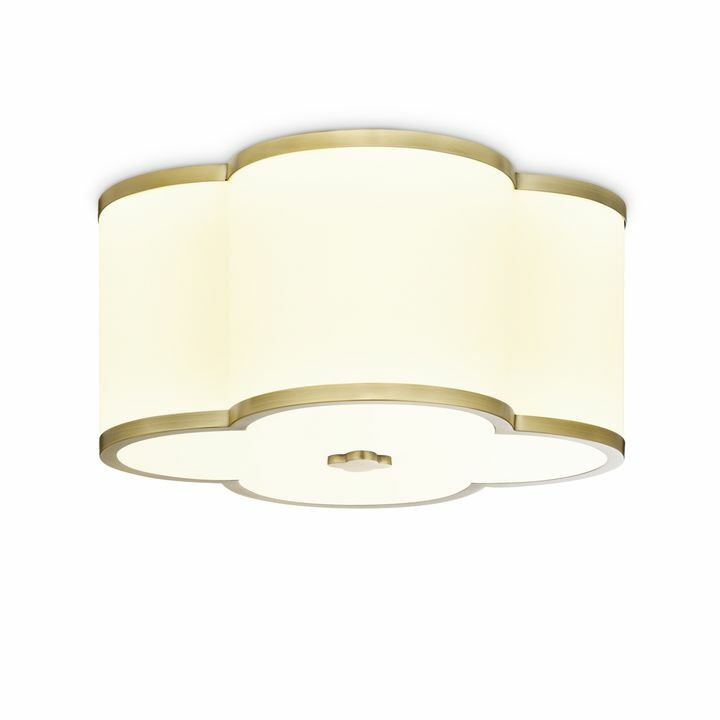 The Anja, available in pendant and flush mount form, features a fabric drum shade with a metallic quatrefoil scallop border. 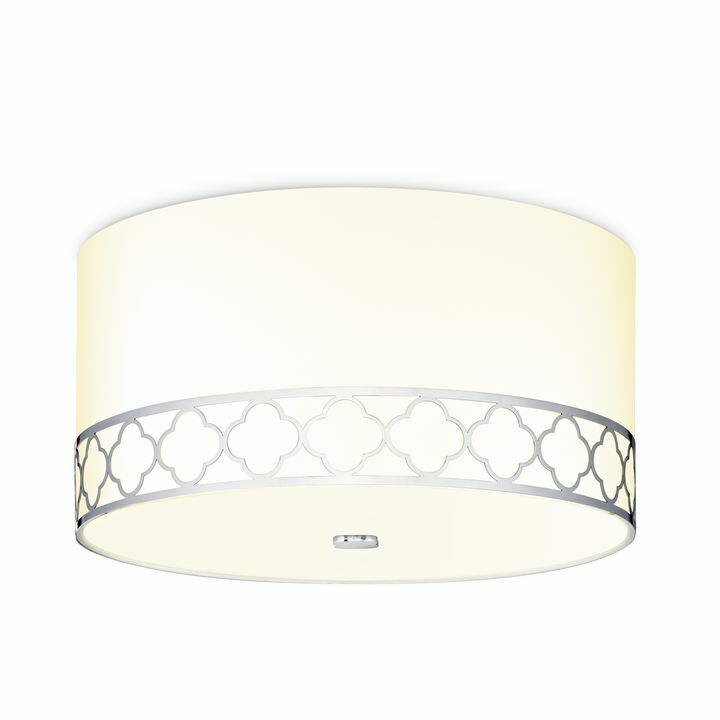 Its sister fixture, the Isla, offers an even slimmer flush mount option in a scalloped floral shape with a solid metallic border and matching finial. 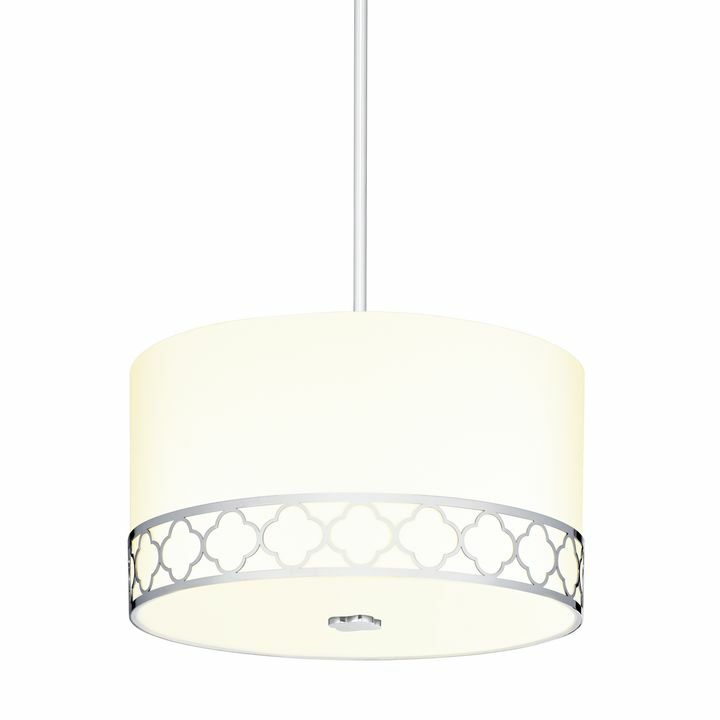 While delicate in appearance, both are built to last with sturdy polystyrene interiors and steel frames. 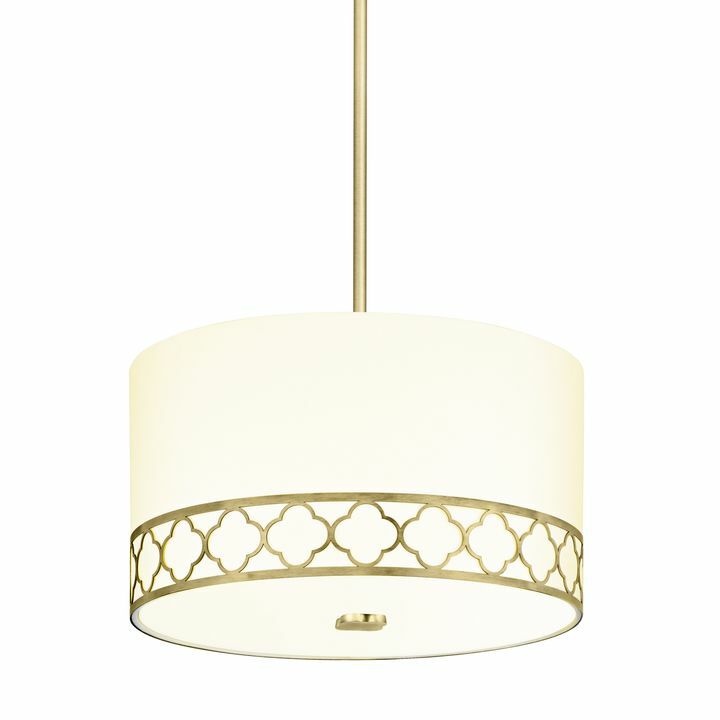 And, to enhance the experience, each is capped with a glass diffuser to provide even, inviting light without the glare. 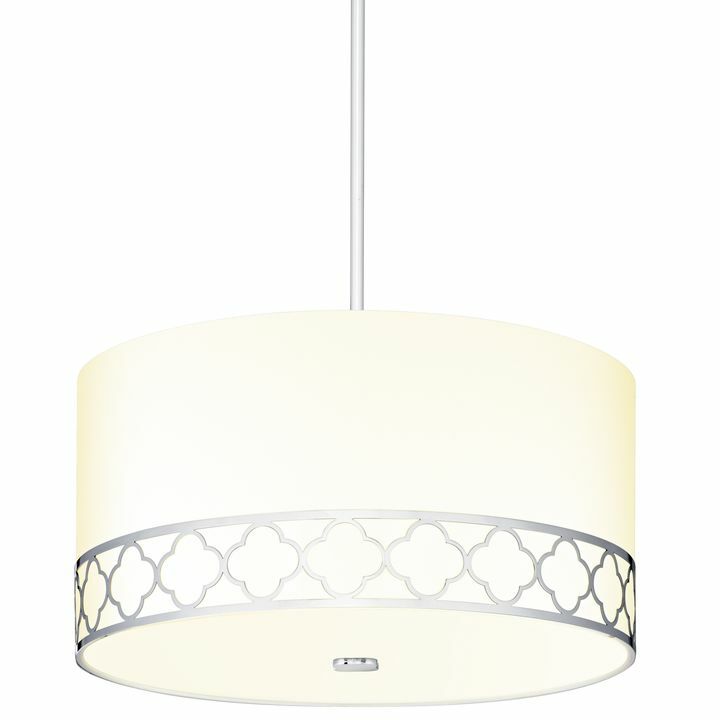 The Isla features built in, innovative LEDs for ambient lighting that is also energy-efficient. 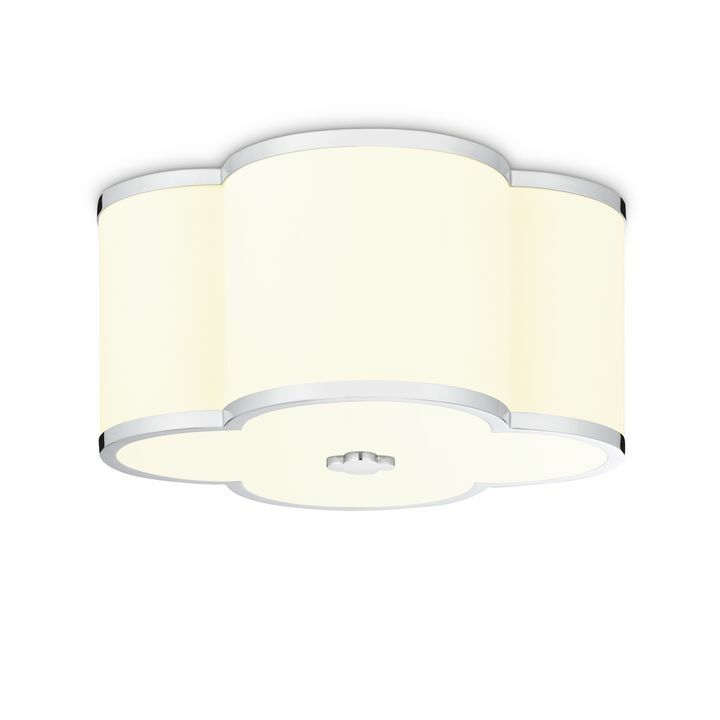 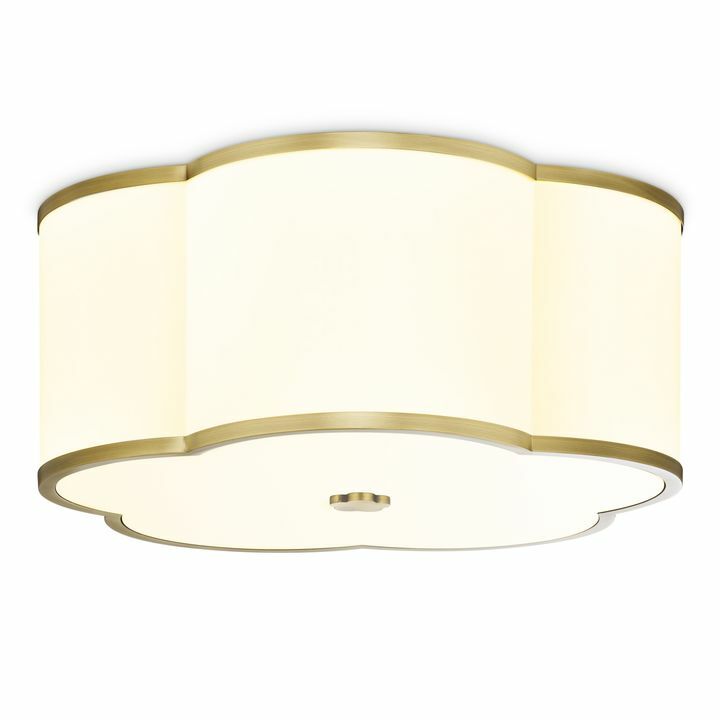 Available in contemporary aged brass and timeless polished nickel.